I was reading the ScienceRoll blog tonight and saw this one entry on Health2.0 which posts the slides in a blog entry. Very cool. Anyways, the blog is worth reading. I always enjoy getting e-mails from readers promoting new ideas or suggesting sites or events to look at. I received an e-mail the other day about iGuard which is a new company which is focused on delivering patient information about drugs as new information is identified. Now, it is important to blend this with a multi-modal delivery strategy which allows the patient to integrate this data into other systems they use and allows them to chose the channel for delivery – e-mail, SMS, fax, live call, automated call, letter, etc. Live Webcast POWER TO THE PATIENTS! Wellness is a big topic at employers these days. (And, it would be bigger if retention issues were fixed and companies knew how to retain their people.) The right programs can make people more motivated, healthier, and more productive and dedicated employees. Here is a good example I found yesterday in Fast Company that reinforces one of my posting from a few weeks ago on loss avoidance. In an article that talks about plastic bags and how bad they are for the environment. Would you believe we use 380B of those plastic bags you get at the grocery store (each year)? And, in landfills they last 1,000 years. I could go on, but that’s not the point of this blog. Anyways, at Whole Foods, they give the customer a $0.05-$0.10 discount for each bag they reuse (i.e., reward). They get 20% of people bringing in their own bags. Ikea charges customers $0.05 for each bag they take (i.e., loss avoidance). Ikea utilization of plastic bags has dropped by 50%. People hate to lose more than they like to save. If you have never read Penelope Trunk’s blog, you are missing out. She is one of my favorite bloggers and has good, controversial opinions about worklife. I think we all wonder about the correlation between health and professional (and personal) success. She has a good blog entry today about being overweight. As health drives cost and impacts performance (e.g., missed hours), people consciously or subconsciously pay attention to it. We could debate endlessly the ethical issues here, but let’s stick with reality. It happens. So, how do you address it. Some people don’t like smokers. Some people worry about people that are chronically absence. Others realize that caring for a sick kid impacts their entire team. Use of routine check-ups varies by geography – 28.9% in northeast, 20.5% in south, 19.7% in midwest, and 16.0% in west. 44.4M adults had a preventative health exam in each of the years 2002-2004 for an annual cost of $7.8B per year. 3/4 of the people had seen a doctor during the previous year when other preventative tests could have occurred. Are these people healthier in the long run? Was the other doctor a specialist and willing / able to do preventative care? What other costs were avoided (if any) through prevention? Who should have regular visits? (We can have a maintenance schedule for our car based on total miles. Why can’t we have a published schedule for humans? Or, why can we have indicators that trigger a visit? What do other countries do? Does it work? Why do you have to see an MD for preventative care? Couldn’t this be done at a MinuteClinic or with a Physician’s Assistant or a Nurse? JAMA just published a study on treating depression and its impact. Here is the summary from the Associated Press which hits the highlights. With 6% of the population having depression and estimates that this costs our economy $30B a year, this is a big deal. Employees who got the aggressive intervention worked on average about two weeks more during the yearlong study than those who got the usual care. More workers in the intervention group were still employed by year’s end _ 93 percent vs. 88 percent _ savings that helped employers avoid hiring and training costs. Intervention employees were almost 40 percent more likely to recover from depression during the yearlong study. Initial results indicate a savings of $1800 per employee from more hours worked versus $100-$400 in cost per employee. Used an online questionaire to identify people with signs of depression. 1/2 of the people got a letter suggesting they talk with their PCP or call their plan for a referral. 1/2 got repeat phone calls from case managers urging them to get treatment and check in on them. A phone consult was offered if they resisted seeing a mental health expert. This seems like an obvious one. There are lots of therapy specific instances where we can take a more aggressive outreach to impact health and bottom line. The best way to get a program launched is have a value prop that addresses both issues. Paper Claims – Are You Kidding Me? The more I use the healthcare system the more I realize the issues with the system. While I was preparing to take my new job, I went temporarily on COBRA. I ended up with a few paper claims while I waited for my new insurance cards and due to an eligibility file issue which the MCO or the TPA made. Then, they walk me through the claims. In one example, I paid $95 for a generic drug. Well, their negotiated rate with the pharmacy for that drug is $22. Taking out my $10 copay, they are sending me a check for $12. WAIT! What about the other $73 that I spent (times 5). I got a nice lecture on negotiated rate versus retail which I explained to the woman that I knew. All I care about is getting my cash back. They can refund my premium, claw it back from the pharmacy, or write me a check. They didn’t get me my cards or set me up right (or the Third Party Administrator (TPA) didn’t). I don’t care. After a second call, they inform me that I can appeal it and will hear in 30-days at which time I can appeal it again. It makes me ask what the problem is and how this works for people with limited cash flow. You have to pay and wait 3 months only to likely get turned down. This seems like a major flaw in the process. Why offer paper claims if you don’t get your money back? In a special Business Week Report, Joseph Paduda (who writes the ManagedCareMatters blog) provides a critical summary of CDHPs (see CDHPs: No Rx for Health Care). I think he makes several good points (although some of the commentors seem to disagree). Of all workers in employee health plans, the percentage enrolled in CDHPs went from 2.7% in 2006 to 3.8% in 2007.
employers hearing horror stories from employees about the myriad issues with CDHPs: no money in the deductible kitty, providers refusing to discuss price or negotiate post-treatment, health plans refusing to require providers to accept negotiated contract rates. just 4% of large employers think CDHPs are “very effective” at controlling costs. To be a smart consumer, one has to have information on pricing, quality, and results. Not only is this information sorely lacking, much of what does exist is complex and difficult to understand, requiring a good bit of in-depth knowledge of health-care terms and procedures. No, I am not taking money to do advertising. After seeing this Comcast advertisement on TV about 3 times, I finally got what they were trying to say. Some made up word of “televisiphonernetting”. In the commercial, there is a guy talking on the phone while web surving and watching TV. The grandfather is trying to talk to him with no luck. This is a good reality to think about when trying to communicate with consumers. We are consumed by our busy lives and always multi-tasking. Finding the right medium, timing, and message to get them to give you 10 seconds of time is difficult. In healthcare, we have lots of opportunities to touch the patient. The key is doing it around an event. They are engaged for a brief period of time around a visit to the doctor or getting a prescription or going to the lab. If you can trigger messages that are targeted to their situation and timely, they will engage. General educational messages that aren’t personalized or timely often fall on deaf ears. This week was the Health 2.0 Conference in San Francisco. I was not there, but I am sure it generated a lot of good discussion. Numerous bloggers were there and put there comments up. Here are a few sites for content. 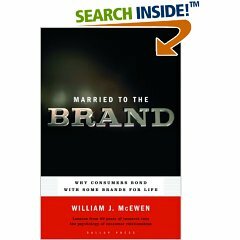 It is certainly worth the read if only to keep up on new technology and new buzz words. But, getting together a group of technologists focused on changing healthcare can only lead to some new ideas. After trying a few entrepreneurial things, I am excited to have accepted a job working with a consulting client of mine – Silverlink Communications. [I am also a former client of theirs from my time at Express Scripts.] The role is a good mix of entreprenerial and stability since they are a high growth, VC backed company. And, one of the most impressive things is their track record of delivery and impressive clients including lots of the big MCOs and PBMs (examples). As I was getting ready to do an e-mail blast out to a 1,000+ people in my Outlook database, I figured that linking them to the blog and answering their predicted questions here might be a good solution. I could go with the micro-segmentation of my audience (i.e., my healthcare friends want to know something different than my consulting friends) that I started to do, but it’s turning out to be more time consuming than I would like. So here goes. Here is more information about what I am doing and why. If you are in the healthcare space, I would encourage you to look at Silverlink and give me a call. We can leverage our technology and services to help you cut costs, grow revenue, and inprove patient satisfaction and outcomes. [Official PR Text] Silverlink is the leader in automated voice solutions for healthcare enterprises. Silverlink’s services enable customers to design, deploy and manage HIPAA compliant automated call programs to educate, collect information from and drive behavior of thousands of patients and members at a time. Serving six of the top ten health plans and with a customer base that collectively represents over 150 million covered lives, Silverlink drastically reduces the cost of communicating with customers while improving financial results and customer care. Why did you join Silverlink? (A) Proven Value Proposition and Technology. (B) Great Team. (C) Very Impressed by Client Feedback. (D) Good Investors. (E) Great Market Demand. We saw great results at Express Scripts. In one controlled study we ran through research, we saw our success rates improve by 30% by blending letters and calls. Additionally, access to data and flexibility were critical. We launched one new call program in under a day (either for Katrina or for a new drug warning). Everybody is talking about consumerism and Health 2.0. Silverlink plays right into that strategy. Delivering timely information to patients. Blend their core technology with multi-modal, data mining, and experience based branding, and you have a unique opportunity to change the paradigm. What are you going to do for them? I am going to be responsible for building out a business process outsourcing (BPO) and professional services group. As with any process oriented change, technology often enables step improvements. Their core technology has allowed companies to radically reduce key metrics (cycle time, response rates, collection ratios). By helping drive more of the process, introducing some new services, and leveraging our industry experts, we will help clients drive market differentiation. Should I look at them as a solution provider for my business? If you are a PBM, mail order pharmacy, specialty pharmacy, medical device fulfillment company, or managed care company, they have many proven solutions to help you with. If you are a retailer, disease management company, or provider, there are numerous ways to use the technology. And, if you are a technology or services company, there are ways of embedding their technology into your solution. Do consumers really like automated calls? You would be surprised. Using good voice talent with the right caller ID with the right sonic branding will get people to answer the phone. People throw away mail. We get too many e-mails. We still answer the phone and listen to voicemails. The response rates are great. On some programs, a reach rate in the 80-90% rate is not unusual. (For my VC friends) Who backed them? There are several angels along with HLM (big healthcare VC firm), Kaiser Ventures, and Sigma Partners ($1.5B technology VC firm). What happened to the other things you tried over the past year? Neither took off. Learned a lot about being an entrepreneur. I put a lot of my lessons learned here. No regrets since I believe everything happens for a reason. Are you relocating? Not for now. We are going to try commuting. Since I will be spending time with clients and in other meetings, we are going to see how this works. Plus, the housing market is no good (at least for selling). I am sure I could go on. But, while you are here, I would encourage you to look at the Silverlink website (PBM, MCO, Medicare, Medicaid, DM, Specialty/DME) and also at rest of my blog. If interested, register to get updates to the blog via e-mail by clicking here. VP of Sales and Marketing for a healthcare company in St. Louis. Good pay. Equity role. Director of Product Management role for a healthcare technology company in Boston. Good company. Director of Product Management role for a healthcare company in MD. VP of Business Development role for a healthcare company in MD. VP of Strategy role for a healthcare company in TX. Equity play. PBM lead role at a management consulting company and another one at a technology consulting company. The reason I mention it is that in talking with an experiential branding expert I found their example of Starbucks very comparative to healthcare. It has died down a little in the past few years, but I have often heard people talk about how hard it is to differentiate a healthcare offering. I think Starbucks is the perfect example of a different way of thinking about this. Coffee is coffee (with some slight modifications in taste). People go to Starbucks and one of their sustainable differentiations is the experience. It is difficult to replicate the experience that people have. That should be the focus in healthcare. How they experience the office lobby, the staff, check-in, admissions, enrollment, the call center, member materials, outbound communications, etc.? This is what will make you different. It is never easy to quantify loyalty and correlate that with experience. But, let me use a simple example. I bet that price being relatively equal no company will switch health plans, PBMs, etc. if the CEO and/or their spouse has had a great experience with the company. There are too few great experiences. This is your chance to step-up. I was reading through the WSJ blog on healthcare and found an interesting item around medical records being the new credit score. It’s a good point. With people’s sensitivity around getting insurance coverage, you certainly don’t want to have a mistake in your healthcare information (at least not one that makes you appear more sick). With all the manual data entry in healthcare, I would not be surprised that this happens. Here is the blog entry. There are several models for dispensing drugs. I talked about kiosks the other day. Obviously, there is a physician dispensing also. In this case, the physician stocks and fills drugs for patients and collects cash payments. They can make good money, but it can represent a (perceived) conflict of interest and present some challenges (e.g., space, cash management, drug-drug interactions). Several companies that help this model are Allscripts, Dispensing Solutions, and Purkinje. Some scary data and a good discussion on this topic can be found on the Medinnovationblog. Each pharmacy call back costs physicians’ practices $5-$7. With the average physician writing 30 prescriptions a day and handling another 30 requests for refills, the costs escalate rapidly. The estimated 20 pharmacy related phone calls per day costs $20,000-$28,000 annually. In general, physicians are oblivious to this cost center. By moving dispensing into the physician’s office, this overhead can be cost shifted to better serve patients as well as create additional income. Even though they moved me, I think it is an issue throughout the hotel since I woke up with a sore throat and headache. To top it off, the hotel doesn’t even have a workout facility. In today’s wellness environment, I figured things like this didn’t exist (at least not at normal chain hotels). Wells Fargo and Gallup put out the results of a poll of small business owners last week that underscores just how challenging it is for them to provide healthcare coverage for their employees even though they clearly know this is an important benefit in attracting the right type of talent. Since small business is where much of our job growth has been over the past decade, this should raise flags for us. I think it is critical that we find a solution that creates easily accessible healthcare for everyone, but I think it is ridiculous that working families can’t afford care or aren’t provided care. As anyone who has done anything outside normal knows, getting and managing your medical claims can be very confusing. When should you pay? When should you resubmit? When is it simply an error? I was encouraged to learn about a new company MedBillManager which has recently secured some funding. They have a blog where you can read some thoughts and you can read about them in a WSJ article. The WSJ points out other companies such as WebMD, RevolutionHealth, and Intuit that provide tools to help get you organized and/or provide information. Here is a screenshot. The team there offered my readers a free one year subscription ($24.95 savings). Go to https://prod.medbillmanager.com/account/signup and click on the “Got a free plan code? Claim it” link… enter in gvareader1. I think they would welcome the feedback. Much like the OutofPocket.com that I blogged about the other day, this is heavily dependent upon adoption to drive value. Being able to compare costs by treatment, geography, insurer, and physician is valuable long-term in a consumer driven world, but it needs participation to have enough detail at at specific segment. The other key for success will be integration of data directly from the payors. I don’t mind entering a few EOBs and bills to see some data, but eventually, I want them to be pre-populated and then use the application for reporting and analysis. Blend this with a technology such as that from ActiveHealth and a PHR and you have an integrated data selection that tracks costs, compares data, and pushes suggestions to you about wellness and health management. This is probably what RevolutionHealth is doing. I am sure we will see some more rollups over the next few years to pull all these solutions together. I enjoyed Sicko. The movie made you think. All information comes with perspective. 20/20 had a good piece the other night which showed John Stossel talking to Michael Moore and bringing up lots of interesting facts about Canada and Cuba and asking tough questions. It was a good opposite view. Rather than rehash, I will point you to Kevin MD’s Blog which has links and provides some other blog summaries. In an interesting, if not over my head conversation, Robert Goldberg (VP of the Center for Medicine in the Public Interest) talks about comparative effectiveness which effectively looks at the costs of treatments versus the outcomes. From a business perspective, this makes all the sense in the world. 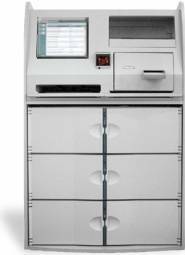 Are Patients Ready for Kiosks? Everyone is moving to self-service. Quicker. Cheaper. Privacy. Automated. Etc. There are lots of benefits. Think about all the information which is needed in healthcare along with all the linked processes. If this can be simplified and some of the burden pushed to patients that is great. Now, this will vary by age and demographic. Typically older people will be more hesitant to use automated technology. Just look at your self-service grocery lines. Additionally, you have to watch interpretation of questions. I will never forget the doctor asking my grandfather if he smoked and him saying yes. I asked for a point of clarification and found out he had smoked 35 years ago. I couldn’t find all the examples, but I have talked with vendors using kiosks for checking in to an office or hospital, providing translation services, helping match basic needs with over-the-counter medications, simplifying basic services (e.g., picking up a refill prescription), or for pushing information to the patient. Kiosks blend challenges with physical design (height, location, screen size) with application challenges (number of screens, simplicity, data entry) with business model challenges (costs, advertising (Y/N), patient utilization). But, done right, I clearly see this as key to the future of healthcare. It will help address staffing shortages, address data quality, and help patients take on more responsibility. Imagine walking up to a kiosk and using biometrics (i.e., retinal scanner, fingerprints) to log-in. Once you log-in, your history (Rx, lab, medical) is all available via your personal health record. You register for your appointment and get pushed health and wellness information that you can print real-time. You can then chose to print information for discussion with your physician based on monitoring of your cholesterol, weight, and blood pressure for your home system. Finally, because you log-in, the system automatically queues up other events for the staff to initiate pending your visit with the doctor. And, if you’re really interested in kiosks, you could read Bill Gerba’s blog on kiosks. Next year’s election for president should have healthcare as a key issue. It has certainly become a front page issue. Do you focus on universal coverage? Do you focus on the uninsured? Do you focus on errors? Do you focus on quality? Do you focus on consumerism? As many as 44,000 to 98,000 people die in U.S. hospitals each year as the result of medical errors. This means that more people die from medical errors than from motor vehicle accidents, breast cancer, or AIDS. Medication errors lead to 7,000 deaths per year and the cost of drug-related morbidity and mortality is estimated at $177 billion annually. So, the question in my mind is what is being done to educate the consumer about how to avoid errors. Systemically, I know there are several things being pursued. But, it is easy to be the victim of an error. I had two prescription errors in one year from my local Walgreens. First, they gave me ear drops for my eyes. Second, they gave me a antibiotic for my son which wasn’t filled with enough water. Is this the medication that my doctor called in? Do you know what I am allergic to? Do you do this procedure often? Can you write down the important instructions? What does that word you used mean? I also saw several other interesting things at the Agency’s website such as a Pocket Guide to Good Health for Adults. You can also find more information about prescription safety from the Institute for Safe Medication Practices. Anyone working in healthcare IT knows it is difficult to drive change – legacy systems, lots of constituents, no standards or years of trying to get one, regulatory issues, etc. I liked Scott Shreeve’s letter to Marissa Mayer who is apparently taking over Google Health with Adam leaving. As one might expect, Google‘s presence in healthcare leads to lots of rumors. I saw one earlier today talking about them buying WebMD (rumor). Obviously, a big part of true consumerism will be patients sharing information about their healthcare experiences (e.g., this doctor is great, you wait too long here, this drug gave me hives) and their costs (aka transparency). There are several locations moving towards this especially around disease specific discussion groups. 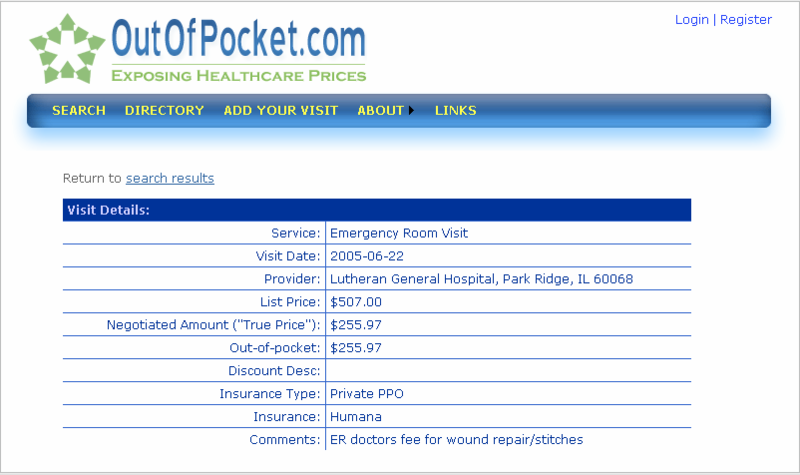 One new site that contacted me is OutOfPocket.com. It is still very early stage, but it has the right concept. 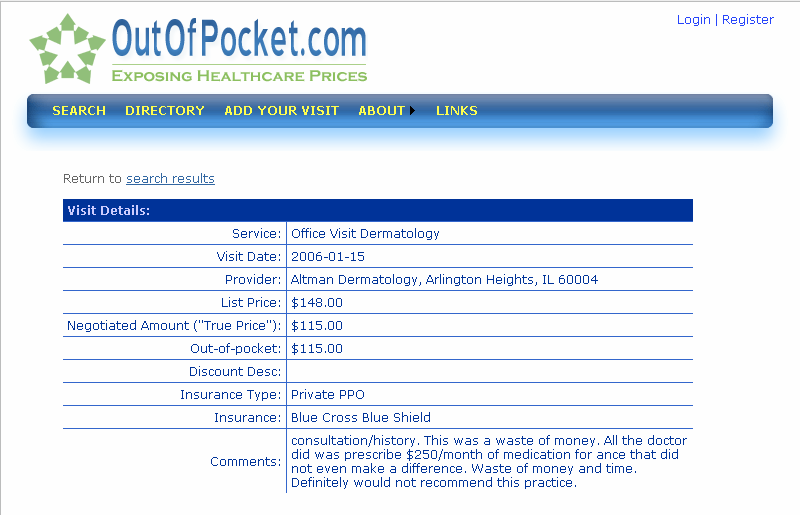 You can go online and look up the comparative costs of a treatment or office visit in your area. Below are two examples. I like the second one where the patient cuts to the chase in the comments area. The company also has started a blog recently which I look forward to being cutting edge and aggressively laying out cost data. I had an interesting discussion earlier this week. The question was whether people view their healthcare companies as a financial company (i.e., cost is the dominant factor and/or the cost to value tradeoff) or as a service company (i.e., my experience at the doctor’s office, hospital, pharmacy, call center). I am sure it is not universal, but it would be an important attribute to understand in driving communications with patients. The easiest example I always use is the paper claims process. Imagine getting rejected at the pharmacy and having to pay $200 for your prescription. For some, $200 is a huge cash flow issue while for others it is simply a nuisance. Where that person is coming from will vary their perception of that same experience dramatically. For the person with the $200 cash flow issue, a reject forces them to either tradeoff medications versus food or heat. Therefore, you are denying them care and possibly causing them harm. For the other person, they pay the cash and are simply ticked off. For them, it then becomes a customer service issue of how easy it is to submit a claim and how quickly they get reimbursed.